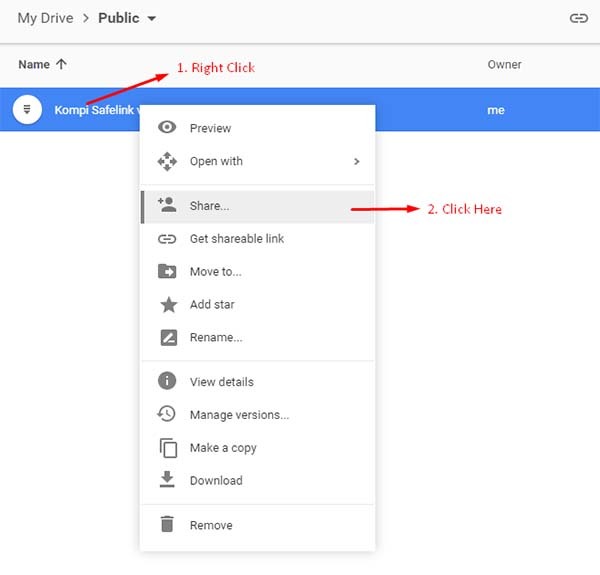 Step 1: Go to Google Drive and right click the file that you want to share. 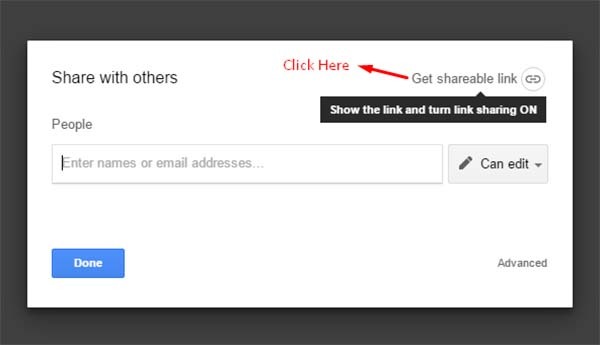 Then click on "Share...". 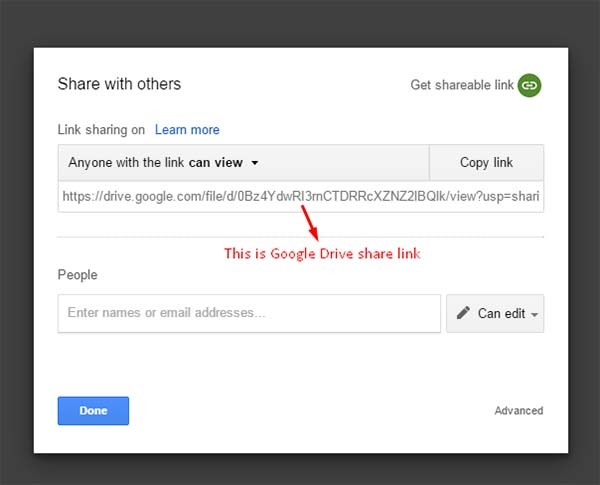 Step 2: On the window that comes up, click "Get shareable link". Step 3: Make sure the dropdown is set to one of the "Anyone with the link..." or "Anyone on the internet..." options, then click "Copy link".